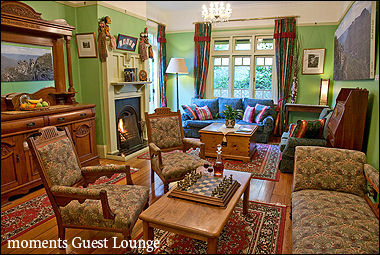 seeking peace, privacy and casual elegance in luxury accommodation. moments Mountain Retreat sits on an escarpment at the very edge of one of Australia’s most accessible wilderness areas in the World Heritage-listed Blue Mountains National Park. Situated at the entrance to the Valley of the Waters, moments offers magnificent panoramic views of Blue Mountains cliff faces, deep mysterious valleys and ancient Mount Solitary. The world renowned Valley of the Waters bush and cliff walks are literally at your door! These walks are world-class and take in lush temperate rainforests, spectacular waterfalls, sheer sandstone cliff faces and historic, hand-hewn tracks. 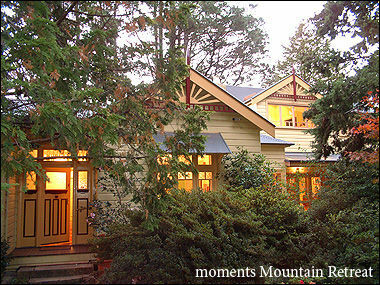 moments Mountain Retreat is centrally located to all popular Blue Mountains attractions and is also conveniently close to Wentworth Falls village, the railway station and The Conservation Hut cafe within the Blue Mountains National Park. 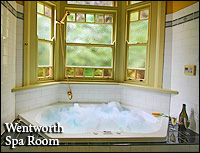 As well as the location and privacy of moments, the personal attention provided by your hosts will ensure you a classic Blue Mountains experience.